With Congress scrutinizing mobile applications, their developers, and the companies that distribute them amid increasing privacy concerns, Apple now appears to be taking extra steps to ensure that apps cannot access your unique device identifier (UDID). As its name suggests, this is a long alphanumeric string that’s unique to your iOS device; every iPhone, iPad, and iPod has one. More than six months ago, Apple told developers that it was going to start rejecting apps that accessed UDIDs for any reason, but the Cupertino company has instigated the rule earlier than expected. It takes more than 12 months to deprecate features, according to TechCrunch, because of the time developers need to modify their applications. But thanks to increasing pressure from users, lawmakers, and the media, Apple has put its plan into action much sooner than anticipated. “Everyone’s scrambling to get something into place,” said Victor Rubba, chief executive of Fluik, a Canadian developer that makes games like Office Jerk and Plumber Crack. “We’re trying to be proactive and we’ve already moved to an alternative scheme.” Rubba said he isn’t sending any updates until he sees how the situation shakes out in the next few days. But not all of Apple’s App Store approval teams are using the same rules. 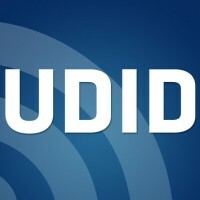 According to TechCrunch, only two of the ten teams have started rejecting apps that use UDIDs so far. Next week, it will rise to four teams, and it will keep escalating until all ten teams are following the same process. All sorts of applications and services access your UDID for all sorts of reasons. Some are specifically built to provide you with your UDID so that you don’t have to plug your device into iTunes to see it, others use it to issue mobile adverts based on the apps you use and the adverts you already notice, and some use it to restrict access to their service to certain iOS devices. Developers are now looking at alternatives. Some have begun using the Wi-Fi MAC address, though this has its own privacy concerns; while others have turned to an open-source solution called OpenUDID. It’s unclear, however, whether either of these will be a success. How do you feel about Apple’s ban on apps that use your UDID?